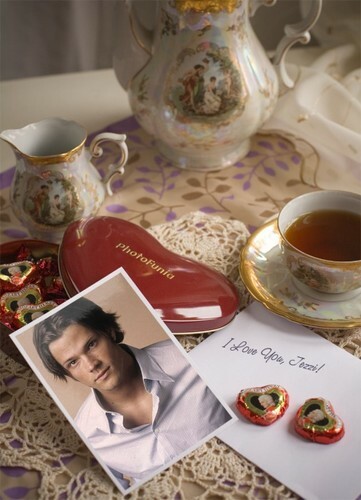 ♥ For Jezzi ♥. . Wallpaper and background images in the Rakshasa & বন্ধু club tagged: jared padalecki valentine's day love jezzi. This Rakshasa & বন্ধু photo contains কফি বিরতি, চা বিরতি, and তুর্কি কফি. There might also be চা, ডিনার, ঔষধি চা, ভেষজ চা, and ভেষজ.